Yet another Hashcapade at La Petite Provence on Alberta. 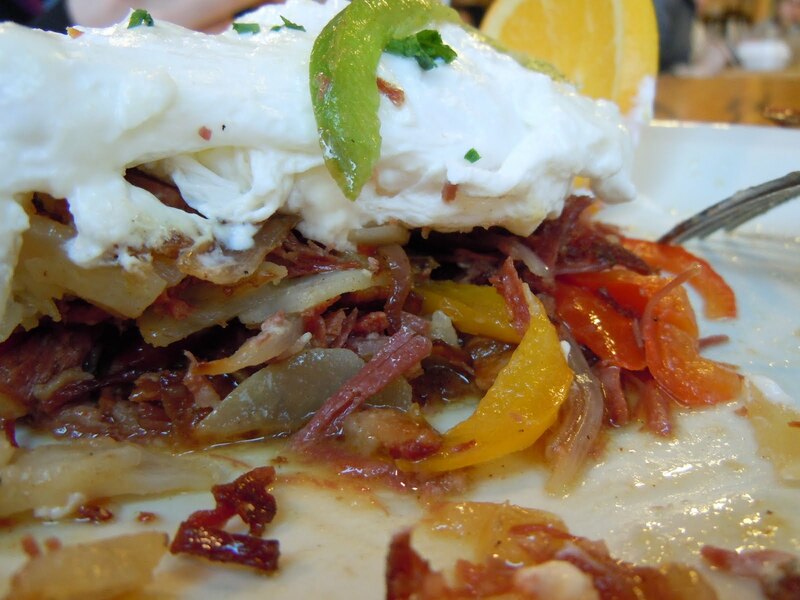 Their Corned Beef Hash was stunningly yummy with multi-colored peppers, a creamy horseradish sauce and house-cured corned beef. Had I opted for the decadent patisseries in their display cases, I can assure you a food coma of such epic proportions, you would spend the weekend, dazed, but satisfied. Bon appetit! Alex and I had a delicious Hashcapade at Milo’s City Cafe. Mine was Hash Carbonara with enough bacon to raise my cholesterol 50 points. Alex was Omega 3-aware and ordered the Smoked Salmon Hash. The best place to sit is at the counter, watching the elaborate choreography of the chef and his minions. The gentleman handling the toaster was my hero! A quiet morning on Christmas Eve was the perfect time to get away to a small cafe tucked in the corner of MLK and Knott street in NE Portland, Bridges Cafe. 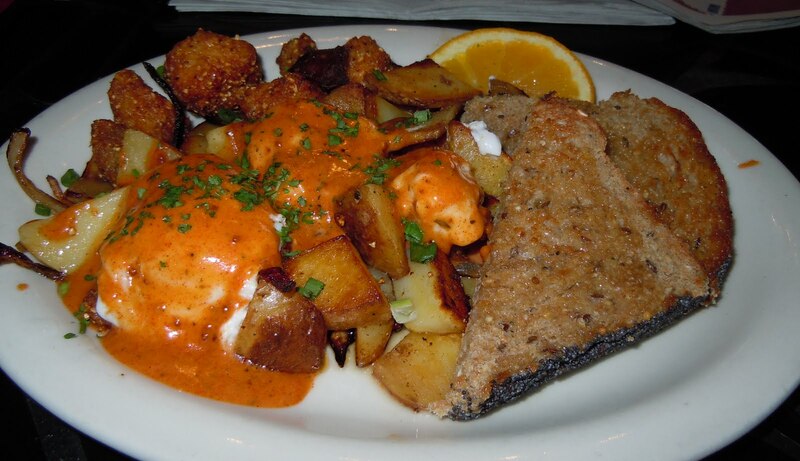 The draw was Portland’s only Catfish Hash, served with a spicy creole sauce that complemented the cornmeal-breaded and fried catfish nuggets. Another hashcapade at 3 Degrees, right along the waterfront. I had the Short Rib Hash and Lisa had the Chicken & Leeks Hash, which I thought was the better of the two even though my Blackberry’s stingy 2 megapixel camera didn’t do it justice. My short rib hash was full of flavor, but can’t beat my Chipotle Sous Vide Short Rib Hash! 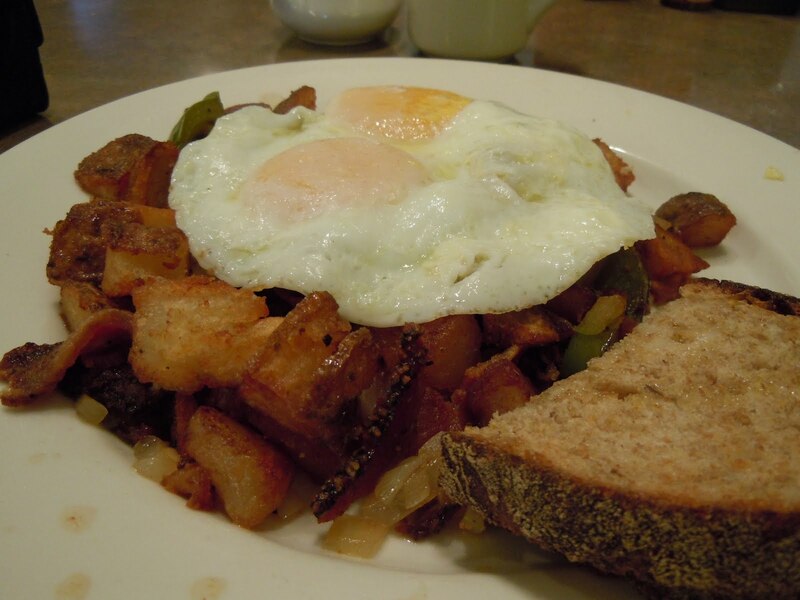 A classic hash from Sweden is called Pytt I Panna and Broder Cafe in southeast Portland provides the perfect ambiance in which to experience it! 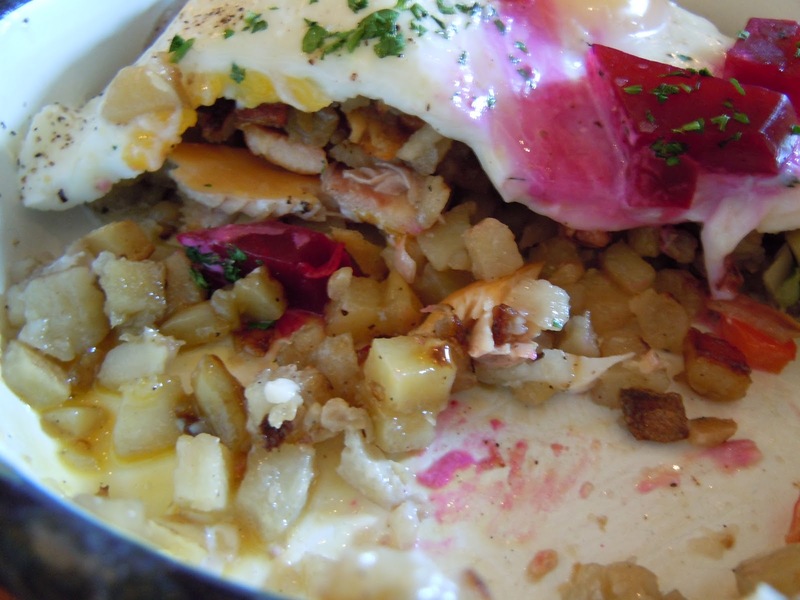 Served in individual mini-pans, almost Le Creuset-like, the attention to detail was amazing – small dice, pickled beets, precision baked eggs and wonderful flavor. 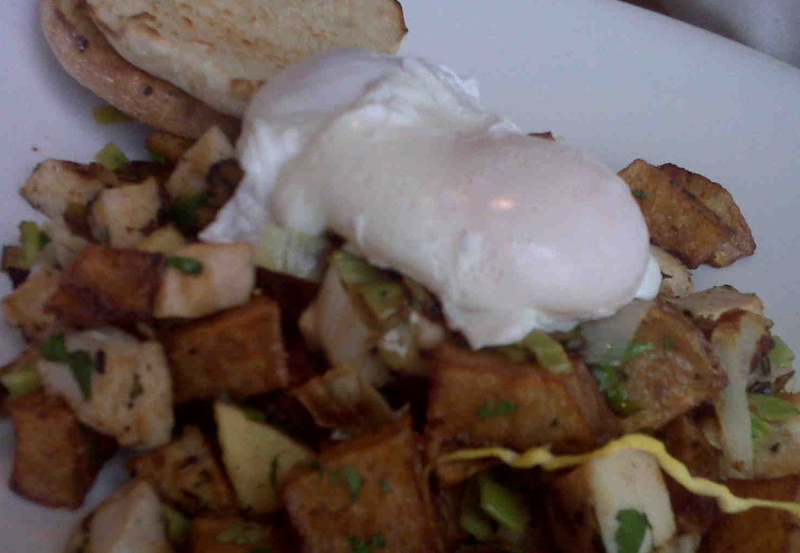 I had the Smoked Trout Hash, which was perfectly cooked, full of flavor and filling. Some restaurants serve a bigger portion, but this was perfect. Plus, it left room for the little treats they sell, ginger snaps with crystallized ginger – yum! If you go there, be sure to get there promptly at 9AM when they open to enjoy the neighborhood vibe and excellent service.